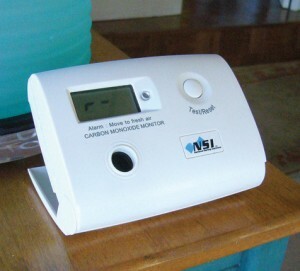 Protect Your Entire Family With NSI’s (National Safety Institute’s) Professional Grade Low-Level Carbon Monoxide (CO) Monitor. NSI’s Model 3000 Monitors employ the same electro-chemical sensor technology found in professional CO Analyzers that cost thousands of dollars. These monitors are calibrated using CO, not electronic guesswork! Ask your NCI-Certified Professional how an NSI 3000 Monitor can help keep your home safe and healthy today! The NSI low-level monitor senses CO levels as low as 5 ppm (parts per million). Infants, children, elderly, people with respiratory or heart ailments are provided little or no protection from deadly CO with standard alarms. 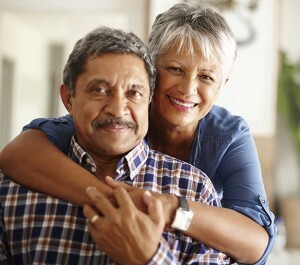 Long-term exposure to low-level CO above 15 ppm can cause illness and even permanent disabilities. Accurate, low-level CO detection requires more expensive components and quality control. The NSI 3000 CO monitor uses the same technology and sensors as in professional-grade CO analyzers used by contractors, fire departments, and utilities. Plus NSI’s unique Continuous Scan mode lets you know the monitor is operational 24/7! Call your NCI-Certified Professional at any level below 70 ppm, unless you have symptoms. CO exposure can cause nausea, severe headache, shortness of breath, chest pain, blurred vision, and dizziness. If you experience these symptoms call 911 and leave the house immediately. Above 70 ppm, evacuate immediately. If you have symptoms, call 911 from a neighbors house. Call your utility to turn off the equipment until your NCI-Certified Professional can investigate the source of carbon monoxide.